Audiences of this year’s Portland Horror Film Festival™ are in for one bloody thrill-ride! 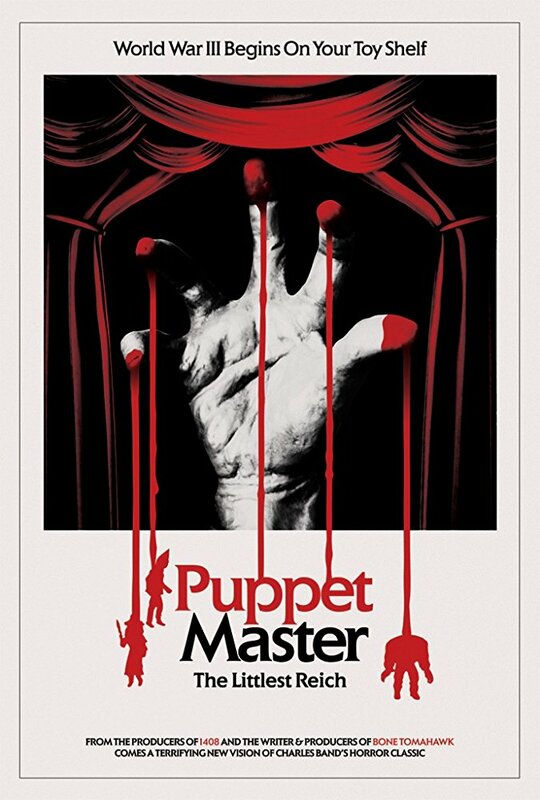 The festival will host the Pacific NW Premiere of Puppet Master: The Littlest Reich on June 15th, with beloved horror movie icon Barbara Crampton in attendance. The film centres on recently divorced and reeling, Edgar (Thomas Lennon), who returns to his childhood home to pick up the pieces of his life. When Edgar finds a nefarious looking puppet in his deceased brother’s room, he decides to sell it for some quick cash at a small-town convention celebrating the 30th Anniversary of the infamous Toulon Murders. Girl-next-door Ashley (Jenny Pellicer) and his boss Markowitz (Nelson Franklin) join Edgar for the doomed road trip. All hell breaks loose when a mysterious force animates the puppets at the convention, setting them on a bloody killing spree. “It is a great honor to have [Barbara] with us for the screening! Not only is she an outspoken advocate for women in the film industry, it’s just a lot of fun to watch her playing a deadpan cop in Puppet Master. I think the audience is going to flip when they see this,” said Festival Director Gwen Callahan. Portland Horror Film Festival™ will take place June 13-16th at the historic Hollywood Theatre in Portland, Oregon. Film programming includes independent short and feature length horror films from around the world, many of which you can’t see on the big screen anywhere else. In addition to Puppet Master, feature films include the Portland premieres of Framed (Spain), The Laplace’s Demon (Italy), and the World Premiere of Big Legend, a bigfoot horror movie filmed in the Pacific Northwest. The festival also features nearly 40 short films from countries including France, Spain, Brazil, Australia, Iran, Taiwan, the US, and Canada. Patron of Horror deluxe ticket packages are available now at PortlandHorror.com. Regular tickets will be available soon through the Hollywood Theatre box office and website. For more information, visit portlandhorror.com or connect with the festival on Facebook, Twitter, and on the Event Page.